One area that I try to have a lot of tools on hand is math. Books, software, games, topic workbooks, online tools - these are all items I keep on hand for when one of my children either needs a little more practice or explanation on a certain math topic. This year with the TOS Crew has provided many math products to review and add to my toolbox, the latest being MathScore by Accurate Learning. Mathscore is an online subscription developed by MIT graduates and founded by Steven Yang. It is a no-nonsense program that is geared toward material a levels 2nd grade through Algebra 1. Using a mastery approach, Mathscore is proven to raise math test scores. Students can start off with an assessment to identify a student's strengths and weaknesses. It is recommended that the assessments be used only with kids 4th grade and up. Once the assessment is complete, the program will suggest topics for the student. The goal is to work toward a 100 in a topic and more on the the next. Incentives and ranking are built in to the program to encourage students to work toward moving to the next level. Each topic has various levels of difficulty with associated rating and points. A very nice feature is that MathScore has adaptable difficulty based on the performance of the student. Once mastery at a level is shown, the student moves on to the next. A time limit to complete online worksheets is given for each level. Students can work on any topic they like and are not locked out of certain topics as with other programs, though it is highly suggested that students first build up speed with typing (answer entry) and basic skills. For each topic and level, a mini-lesson, sample problems, and timed worksheets are available. The number of topics varies (20-92) for each grade level. The get a better idea how the program works, you can view an introduction video and demo at the website. What I really appreciate about this program is the tracking and information it provides to parents. A fairly detailed report is emailed to parents, including information such as: topics worked, rating, points, accuracy, %, # of worksheets completed, worksheet time and engaged time. My favorite bit of information provided, given I have one child that distracts fairly easily, is the a measurement of long gaps of idle time. After I let my son know that this information was provided to me, I got that deer-in-headlights look that told me he was going to do his best to stay on task. The parent account of the website gives access to other information regarding the student's time spent using the program, as well as access to all levels of worksheets. I didn't find the program as flashy as others we've experienced, though that is not necessarily a bad thing. The ability to move up levels, earn points, and unlock 14 trophies is the primary motivation for students. There aren't games or many bells and whistles. This made the program less appealing to my kids, but it doesn't mean the program isn't effective. In other words, they weren't begging to work on MathScore, but when it showed up on their assignment sheet they put their work in with little trouble. My son did have some issue that the worksheets are timed, especially as he moved up in difficulty, but slow work is an area that I'd like to see improvement with both of my kids. Upon first subscribing, the first two months for the first student is at a reduced rate of $9.95. There are also additional discounts if you opt to pay for a 9-month subscription or pay a lump-some amount. For example, a lump sum payment of $50 actually gives you $60 worth of subscription time on your account (a 20% bonus credit). MathScore is a program to use for steady practice that documents clear progress. The website states that the average student using MathScore practices more than 10,000 problems a year using the program only one hour a week. That's a significant amount of practice! You can also read several articles of how using MathScore translated to a jump in scores in various test groups at the website. Mathscore's strength is the mastery approach to learning as well as the tracking and activity information provided to the parent. Its potential weakness is that is isn't as entertaining to the student. If a student regularly works with the program, the steady and easily measurable progress may be motivating enough, removing the need for a flashy program. If you are looking for a resource that allows your student to work independently with math learning and practice, you may want to look into MathScore further. There is a free 2-week trial of MathScore available for you to try before you buy. The program is easy to get started and use and you should be able to give it a good enough workout during the trial period to determine if it will be a fit for your student. For more information, demos and articles on MathScore, visit the MathScore website. Visit the TOS Homeschool Crew's blog to read more reviews on this product and others. Disclaimer: This review was provided as a result in my participation in The Old Schoolhouse Magazine Crew, a team of 100+ homeschooling parents. While the product was provided at no expense to me in order to provide this review, I have not received any other compensation. Furthermore, receipt of the product does not guarantee a positive review. I strive to give a balanced overview of each product, detailing my opinion of both pros and cons and how the product worked for my family. What works for one family may not work for another. I encourage you to read reviews of other Crew members and research sufficiently to determine if any product will be a benefit to your homeschool. 9. Resisting chocolate just means I'll crave something else. 8. Counting calories may be necessary in weight loss endeavors. 6. Workouts without inline skating are more enjoyable. 5. Shoes not put away can be dangerous. 4. Walking dogs can be expensive. 3. Getting fit is contagious. 2. I'm not the only one annoyed by virtual trainers. 1. Misery really does love company. Well, this certainly wasn't my best week to date, but all was not lost (including that one single pound I needed for encouragement). Nutritionally, the week was a complete flop. 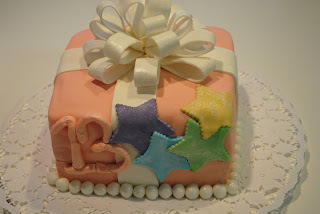 The weekend started with a family celebration of my daughter's 13th birthday on Saturday. There was pizza...and cake. It wouldn't have been right to not have cake. Besides, my husband's mother made it and she would have been offended, right? (It was delicious, I might add!). In addition to the cake above, my daughter wanted a chocolate eclair cake for an evening dessert. The recipe basically consists of graham crackers, pudding, whipped cream, and chocolate frosting. We were all full from the celebration Saturday and we saved the eclair cake for Sunday. Nope - Sunday didn't go too well nutritionally either. On top of that, that left over eclair cake was just too darn accessible. You know...just take a little bite and it will be ok. Do you know how many bites I had over the course of the week? (Hint: How many times do you walk past a refrigerator in a day?) I'm not going there. I need to count calories. Ack! I hate counting calories. I think I have to go there, if I want to lose any weight. And since I not only had pizza on Saturday, but on Thursday night, too, when my husband announced the family was going out for pizza, I decided to start there. Now, I did a little better in the area of exercising, but not as well as the first two weeks. I worked out with the Wii on Monday, Tuesday and Thursday. I removed the inline skating from the workouts. I could no longer control my desire to whip the controller at the screen when the virtual trainer told me I needed to "focus". I walked the dogs on Monday and Tuesday. A couple of things got in the way of successfully working out as planned though. ...a misplaced boot, I might add. 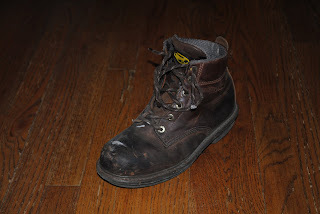 Now, I thought an excited 115 pound dog was dangerous, but it turns out this sad-looking boot is even more dangerous. Unfortunately for the dog, she discovered that too. There is still debate on whether the boot was in the middle of the room or by the baseboard. In the end, it doesn't really matter because it found me. I promptly tripped over it. Tripping over things usually isn't all the uncommon with me. I tend to find things to trip over. However, there usually isn't a hard-headed dog waiting to meet my chin on the way down, temporarily sending my upper torso in the opposite direction. Since my hands were in the process of flying in an upward direction and no longer able catch the fall of the rest of my body going in a downward direction, my kneecaps decided to step up to the task. Sigh. I have to say it was one of the more painful falls I've taken (I think the dog's skull would agree) and I felt it the next day. If nothing else, I'm giving myself a pat on the back for working out on Tuesday. Both an encouragement and a discouragement was when the Wii program awarded me a trophy for reaching the milestone of burning 1000 calories since I first started. My first thought was, "Yay! 1000 calories!" My next thought was, "That's only three pieces of pizza and I've been working out for 2 1/2 weeks." Instead of a virtual trophy, the program should award three slices of pizza, because I worked out for 2 1/2 weeks to eat them. Of course, if I were eating virtual pizza, I wouldn't have this problem, would I? Simple math folks...I either need to workout more or eat less. Now, the reason the dogs (and I) didn't get their walk the rest of week is because the younger of the two started showing signs of pain in her shoulders. I wasn't up to walking the neighborhood without my furry companionship and I didn't have the heart to take one dog out and not the other. One vet trip and $277 later and the diagnosis is bursitis (inflammation in the shoulder), which is better than other major shoulder issues that are common with this breed. The prescribed treatment is no walks for 2 months, some natural supplements, pain meds when needed, and a diet to lose 5 pounds. Now the dog and I can diet together. I'm going to be really mad if she loses the first pound before me. I'm searching for some positive events of the week, and I do have one to report. Unfortunately, it meant that I didn't get my workout in today. My daughter "stole" my Wii time to workout herself. I had already slept in late, or I would have already been done before she came down in workout clothes and announced she was going to work out...right now...just before I was headed to the Wii to workout. I let her have it...the Wii time, I mean...because I was happy to see that she was catching the "fit bug" herself. It meant that I wouldn't have time to workout and shower before needing to leave for the vet though. By the way, come to find out the virtual trainer annoys her too! On a final note, I'm not as discouraged as I would have been if I hadn't read last Friday the thoughts of many of the other Fit Mommies after many had less-than-perfect weeks. Misery really does love company and I'm glad to have such awesome ladies to be miserable with! Since I am a week behind everyone, it must be the third week struggle. I hope to have a better report next week! Next up is science. This is an easy one because I actually have a pretty good plan for science with great follow through. Ok, never mind that I actually outsource science for one of my children. The main thing is it gets done, right? This is my daughter's third year taking Apologia science through an online class. I have no problem teaching science on my own, but I wanted some sort of outside grade for her in just one subject. I desired she experience homework, tests, set schedules, and grades because that was not something we normally did in our homeschool at the time. The reason we ended up doing this for science was more about convenience than anything else. I found a class that was using the text I had already planned on using (Apologia's General Science) with an online school that I had already heard good things about, Potter's School. The schedule worked, so I registered her. Now, if something works well, I tend to stick with it. The online science worked well. She liked the text and the teacher. She learned some study skills and it was an overall good experience that first year. Last year, we continued on to Biology with the same teacher. This year, the teacher started teaching at Apologia Academy and we followed him there for Marine Biology. We went out of the recommended sequence for a few reasons. 1) My daughter really liked Biology, and I thought the continuation would not only be enjoyable, but better reinforce the previous year's work. 2) Her teacher was not teaching Chemistry, typically next in the series, and she preferred to stay with this teacher one more year. 3) While I know she was capable of the chemistry work, I decided to give her break given her other coursework. I knew Marine Biology would be less of a load. 4) We started the series early, and could afford a buffer year for exploration. 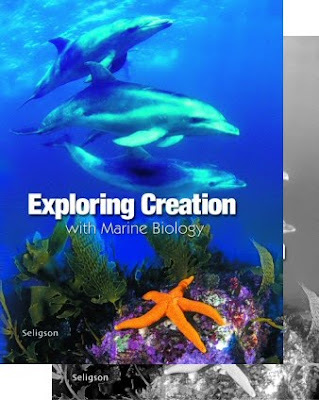 So, we went with the Marine Biology, which is typically a high school elective if the student doesn't want to go on to the advanced texts but still have four years of high school science. It has worked out beautifully this year. My only complaint is the shark dissection was a bit smellier than the others! Now, my son isn't nearly as structured with science, but I do have a plan! Last year I discovered Apologia's Young Explorer series when I reviewed Flying Creatures of the Fifth Day. He absolutely loved the text and we got through most of it before summer hit. This fall, I decided to have him try an online class of his own and enrolled him in an 8-week electronics course with Quick Study Labs, which I had been eying for a year or two. He liked the class and the teacher, but our schedule was a bit hectic and our wallets a bit thin, so I decided we'd finish up Flying Creatures instead of continuing after the holidays. I mentioned to him my grand plan only to find out he had read the rest of the text on his own. I would have liked to have worked through the text together, but I'm not complaining that he actually likes his science textbook enough to read it for pleasure reading! 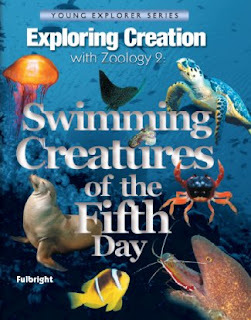 I just purchased Apologia's Swimming Creatures, which will use through the end of the school year. I think science is the one area where I fumble around the least. Next up will be language arts, which is a different story. When my kids were younger, I had a philosophy that I would expose them to many different topics, hobbies, sports, and teachers when they had the time to explore. Every person I met was a workshop opportunity! The end result was great and they tried their hands at many different activities and skills. It seemed like we had exhausted them all. 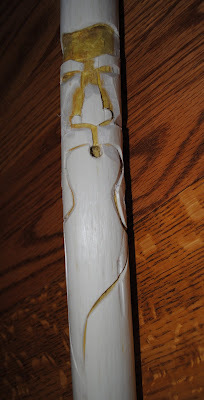 We apparently missed one...whittling! A friend of mine set up a 3-hour whittling workshop for today. She found the instructor at the local metropark sledding hill. He was the park ranger in charge of watching the hill for the afternoon...and he was whittling. That led 10 kids learning how to whittle today, my two included. 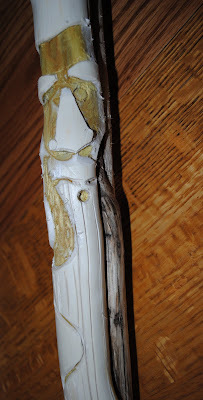 They started by stripping the bark and smoothing the surface of the stick. 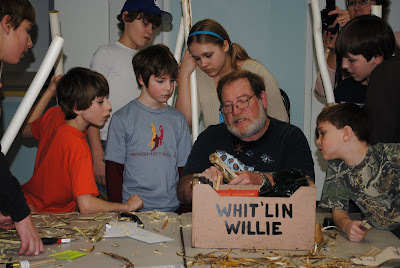 Once they had the stick stripped and a stopper on the end, the instructor, Whit'lin Willie, showed the class how to carve a face into the side. 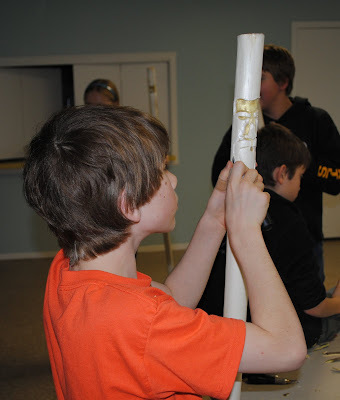 For the next two hours, the kids worked on their design and sanded their walking sticks smooth. There were several sliced fingers, but luckily none that required stitches and none on the hands of my children! Both of my kids were very proud of their finished product and showed Dad as soon as he came home. There is one skill I obtained in high school that I can't imagine not having today – typing. It is a skill I used through college and continue to use every day. It escapes me how anyone can efficiently use today's technology with the hunt-and-peck method. Typing continues to grow as an essential skill for today's student. Rather than wait until high school, many children now learn to type in the elementary years. Christian Keyboarding is a supplier of keyboarding and word processing programs using the touch-typing method. 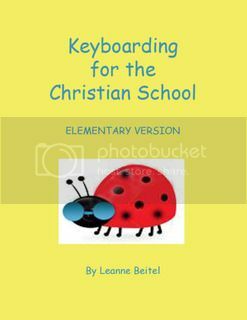 For review, I was supplied with the e-book Keyboarding for the Christian School in both the elementary version and the middle school/high school version. The general structure of each version is the same, with the middle school/high school title containing extra lessons. The lessons can be used either in a classroom or by individual homeschooling students. By the end of the program, the student will have learned all the characters of the keyboard as well as general formatting of word processing documents. Keyboard characters are introduced just two at time and learned through repetition. Regular review is built within the lessons. Once the student has mastered enough characters, they further practice by typing timed Bible verses. This is not a program that is meant to entertain. There are no cartoon characters, no games and no flashing screens. The method used is exactly how I learned in high school – through repetition and practice. While it may not be very entertaining, it is efficient, which is more important. Includes lessons for all characters of the keyboard and timed tests. Word processing lessons on centering and enumerated lists are also included. Includes lessons for all characters of the keyboard and timed tests. Also included are formatting and word processing lessons for the following: centering, enumerated lists, tab key, MLA reports, APA reports, cover page, works cited, bibliography, personal business letters, business letters, envelopes, proofreaders marks, and tables. Both of my kids can type already, but they learned in very different ways. My oldest learned quickly and is an excellent typist. I think she could have learned to type with any program, this one included. This hasn't been the case with my youngest. My initial instinct was to use the popular typing software that worked for my daughter. She absolutely loved the program. However, it had zero appeal to my son; a true example of what works for one may not work for another. I then moved to a computer program that was geared more toward younger children. While he liked the games and enjoyed all the kid appeal, he wasn't learning to type. I finally discovered that all the options, games, and animations of the computer-based programs were simply too distracting for my son to learn to type. My high school typing instructor didn't dance around the classroom and teach us games, so it obviously wasn't a necessary component to learning to type. In my son's case, it was actually a barrier. He needed a very systematic and repetitious program without any extras. I ended up seeking a traditional program similar to those provided by Christian Keyboarding. It worked! While still slow, he is now typing. I was not aware of Keyboarding for Christian Schools at the time of my search, but I imagine it would have been just as effective. One advantage of this program over others of a similar format is the passages used for practice and timed tests. While “The quick brown fox jumps over the lazy dog," is great for practice, why not work on spiritual development at the same time? Verses are used in the lessons and both versions use passages from Psalms in the timed test section. I would have preferred that the Bible location would have been included with the scripture though. I also like that the program teaches basic word processing as well, rather than strictly typing. 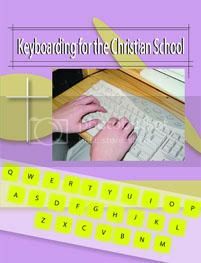 If you are looking for a no-frills, Christian, and inexpensive typing program, Keyboarding for Christian Schools may fit your needs. Visit the Christian Keyboarding website for more information or to purchase. You will also find information on where to purchase a softcover text if that is your preference as well as sample lessons and freebies. Through February 28th, you can also get an additional $5 off your purchase of $12.95 with the code NewYear5. Warning! There is a Teenager in the House! Where has the time gone? You are growing up to be a beautiful young lady. Welcome to teenagedom!Happy birthday, baby girl! When I first considered homeschooling almost nine years ago, my first step was to hit the library and the bookstore for a stack of reading material. My pile had variety, from titles about educational philosophies to learning styles. Not included in that pile, however, was The Ultimate Guide to Homeschooling by Debra Bell. I have no idea how I missed this gem. Many are familiar with Apologia and the popular science curriculum it publishes. Last year the TOS Crew reviewed this popular curriculum; you can read a full review here. However, some may not be aware that Apologia is expanding into other areas, including conferences and non-science titles, the new edition of The Ultimate Guide to Homeschooling among them. I'll admit that I was a bit biased when I heard I'd be receiving this book for review. After all, this is our 8th year homeschooling. I'd like to think that I'm pretty functional in the homeschooling arena at this point. In all my confidence, I decided to look at this title from the perspective of someone just starting out. The Ultimate Guide to Homeschooling isn't a homeschooling educational philosophy book and it isn't for those that need conviction to homeschool. It is, however, a practical guide on how to homeschool with concrete information. Part 1: Homeschooling: Is It for You? immediately impressed me because Bell addresses that homeschooling is not for everyone. Frankly, I found this refreshing. Too many times have I heard homeschooling presented as a one size fits all. Bell addresses the realities. 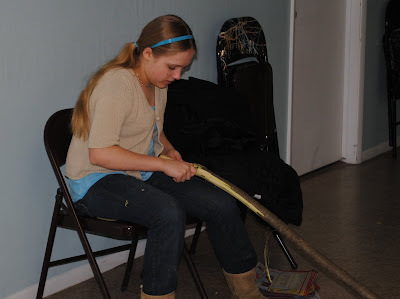 Homeschooling is not only a conviction, but hard work with challenges. The book continues with a natural progression of what a parent would need to know once deciding to homeschool, such as choosing curriculum and organization. By the time I reached Part 4: Preventing Burnout, I started to realize I was getting quite a bit out of this book, though some may consider me a veteran homeschooler. I was not only due for a refresher on some of these topics, there was quite a bit of new information too. I especially found Part 6: Homeschooling Teens helpful now that we are quickly venturing into that area. Since I started homeschooling my kids when they were very young, I filtered out information that pertained to the high school years on my initial information gathering. I found Part 6 a practical and broad information source for homeschooling teens. As with the rest of the book, this section didn't overwhelm with details, but covered many areas and gave plenty of resources for more information. Even if some of the information was just a refresher, Bell provides quite a few resources that weren't familiar to me. The resources provided are one of the things I love about this book. Bell gives very specific recommendations throughout, such as book titles, curriculum suggestions, websites, magazines and software. After reading about halfway through the book, I finally pulled out the Post-Its and started flagging pages that referenced resources that I wanted to check out. The Ultimate Guide to Homeschooling concludes with 50 pages of resources. This section is divided into three parts: Organizations & Publications, Suppliers & Products, and Academic/Athletic Contests and Competitions. Resources are further categorized when possible, such as organizations by state or products by subject. To sum it up, this title is excellent. I would highly recommend The Ultimate Guide to Homeschooling for those just exploring homeschooling, veterans that need a refresher, or those heading into new territory (such as the high school years). Bell has a well-balanced focus on academic excellence while addressing the convictions of Christian homeschoolers. That said, I believe there is plenty of useful information and suggested resources for secular homeschoolers. I regret that this title wasn't in my pile when first exploring homeschooling, but am glad to have discovered it now for the rest of the journey. The Ultimate Guide to Homeschooling retails for $20 through Apologia Press. Both a Table of Contents and a sample chapter, Chapter 6: Six Ingredients of a Successful Homeschool, are available at the Apologia product page. 10. The phrase “absence makes the heart grow fonder” can also apply to chocolate. 9. Even couples married for 15 years can miscommunicate. 8. Practice does not always make perfect when it comes to inline skating on the Wii. 7. Inline skating can be removed for the workout of a particular Wii program. 6. It is possible to start to dislike trainers that aren't even real people. 5. Children behave better when given an afternoon walk, not just dogs! 4. Walking dogs can be a pain in the rear - literally. 3. If you eat salad for several days in a row, you'll actually start craving more. 2. One can work out and sweat for two weeks without losing a stinkin' pound. 1. In order to lose one pound, you must sweat or eliminate an additional 3500 calories. I didn't get a good start on my goals this weekend. Saturday found me in the Godiva chocolate (just one piece, though!) and Sunday we had company over, resulting in lots of snacking. I didn't workout or take the dogs for a walk either day. Sunday night, however, we discovered the Wii isn't broken. I was relieved to avoid The Firm videos. Whew! A near miss. A couple of the plugs in the back were in the wrong place, which made our Mii faces blue. This was my first suspicion, but I let those more technically-inclined trouble shoot. Apparently, "Did you check the plugs in the back of the TV?" means something different to the tech people in the house. Either that or "Yes, I unplugged everything and rehooked it all, " was somehow translated incorrectly by those non-techies in the house. Oh well, it was resolved Sunday night, which means I was ready to go for my Monday morning workout. I used the EA Active program Monday, Tuesday, Thursday, and Friday. I decided to move up to the a step up from wimpy moderate intensity level. As a result, the workouts were slightly longer, 25 minutes on average. Now that my legs are used to the excessive lunges (sigh) in this program, the workouts weren't bad at all. Calories burned for each workout averaged around 110. I don't feel like this is a huge workout, but it is manageable for now until I can work up some consistency. Anything longer wouldn't get done in the morning (or at all). I still stink at the inline skating and am considering removing it out of the workout. I'm getting tired of the trainer telling me, "If you focus, you'll do better next time," and "We need to build those leg muscles." Did I mention that she's really starting to annoy me? Every day I took the dogs out and walked for about 30 minutes. In the past, I've been extremely lazy with walking our dogs. They are pretty low energy dogs and I hate the cold weather. 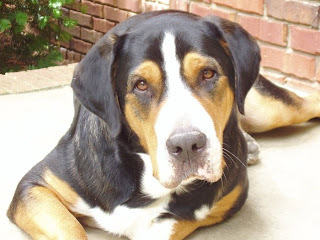 Being Greater Swiss Mountain Dogs, they hate the warm weather. I've started walking them every day more out of guilt than for exercise. You see, my kids were hired by a neighbor to walk her dogs every day while she recovers from an injury. I was feeling a little guilty that the neighbor's dogs were getting a walk every day while our two lugs stayed indoors. Plus, I liked being nearby while my kids walked the neighborhood, which is on the larger side. So, when the kids walk the neighbor's dogs, I take our two out as well. I plan it so I'm not walking with my kids but cross paths a couple times while we are both out. I noticed that the kids getting out regularly has made a difference with getting one in particular to sit down for work. Hmmm. While the walks have been going well, I do have an injury to report. Mentioning the word "walk" gets my two furry kids all wound up. And when I said big lugs...I meant big. 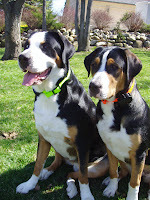 They are each around 115 pounds. The younger of the two got so excited on Tuesday about a walk the she started running around the house, misjudged where she was going, and rammed me in the backside. Ouch. She nearly took me off my feet. The next day, I felt like I had done a 100 forward lunges the previous day. Just right side lunges I might add. She looks cute, but what a killer dog I have! I was really thankful that Wednesday was a "rest" day on the Wii program. While the weekdays were better than the weekend nutritionally, I didn't exactly meet my goals. The water intake was just ok. I did do well with eating healthier things. We had a bunch of salad left over from our weekend and I had a salad every day for lunch. I was surprised how much I started to crave salad. I started feeling a bit like Elaine from Seinfeld, always wanting a big salad for lunch. I fell short when it came to the snacking though. I stayed away from the chocolate, but ended up sampling mixed nuts several times and finished off a bag of Fritos. I see the Fritos got Denise this week too, so at least I'm in good company. The most disappointing part of my week is the fact that I haven't lost a pound. Not one! I'll admit I feel better and have more energy, but oh how I'd like to fit back into the jeans I was wearing three years ago. I have myself convinced that I'm working off the 10 pounds that usually appears right after Christmas, when all that chocolate finally settles on the hips. 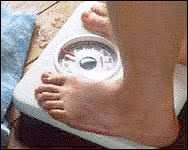 If I maintain my weight this month, perhaps it really means I lost 10 potential pounds! How's that for logic? One little pound would be good for the encouragement though. Maybe next week. A friend shared yesterday that the cast of the upcoming The Lightning Thief movie, based on the books by Rick Riordan, was going to be at our local Borders today. Logan Lerman (Percy), Jake Abel (Luke), Alexandra Daddario (Annabeth) and Brandon T. Jackson (Grover) were to be in appearance. Both of my kids have been going on about this upcoming movie. My voraciously reader of a daughter has really enjoyed the series. That isn't too unusual as she often gets hooked on many books. However, my son also absolutely loves this book series. He isn't a huge reader, but twice has read titles from this series in one day. All it took was listening to the audio of the most recent release, The Last Olympian, to get him to want to start over at the first book. When I asked if he wanted an audio book or a regular book, he said, "Mom, reading a book is so much better than listening to it!" As the mom of a dyslexic, that was complete music to my ears! Still, I wasn't sure if we'd attend this event. 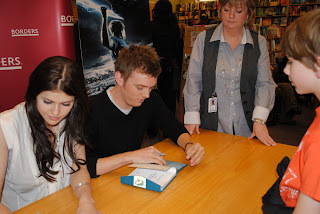 It meant driving to the bookstore in the morning before they opened and waiting to get wristbands (no autographs without them! ), forfeiting some school work to do so, and then coming back that evening and fighting a huge crowd of tweens. I hate shopping at Costco on Saturday, let alone a bookstore full of tweens. In the end, though, I decided both of my kids would enjoy the movie even more after having met the cast. How often do they get to do that? I arrived at the bookstore at 8:30, with my son in tow. I was surprised no line had formed yet. A friend had told me other events had 50 or more waiting outside the door before opening. I noticed several people waiting in cars opting to keep warm. Smart crowd. No one budged until the first person decided to get out of their car a few minutes before opening. Soon the line formed to about a dozen, but that was all. I was third in line and able to get into the first batch of those to get autographs. My son and I shopped for an hour or so and I ended up picking up a few more wristbands for friends before leaving. We arrived about 45 minutes before the discussion was to take place. The crowd grew and grew (as did my nerves!). One of the kids in our party curled up and put her coat over her head to block out sensory overload! The discussion started over 30 minutes late and only lasted about 15 minutes. I think my kids still enjoyed it though. 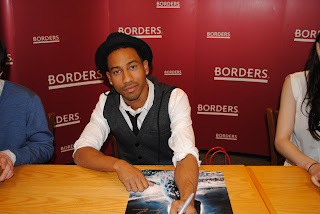 I thought Brandon T. Jackson was especially good with the kids, though they all gave thoughtful answers to the questions. Next was the signing. At that point, I was pretty thankful I arrived early enough to get in on the first batch. We were through the line in no time. It was assembly line fashion and no posed pics, but I did manage to get some candid shots on the way through. My daughter sort of flung her poster at Logan Lerman and hurried down to the end of the table. I guess that is what they told her to do rather than follow her poster along. By the time my son and I reached the table, they were letting people follow the item to be signed. Later on in the signing, I think they banned the camera shots while in line, or at least enforced it. I'm sure the cast would tire quickly of constant up-close flashes all evening, though it seemed Brandon T. Jackson didn't mind at all. It was a fun evening for my kids. A radio station was even giving out free tickets to a prescreening, which made the budget-minded adults happy. Overall, it was well-run given the amount of people and we'll likely attend similar special Border events in the future for the right author or celebrity. My son wasn't exactly happy about getting a haircut earlier this weekend. I told him to at least act happy for the camera. I have to say, I love the resulting pic! Homeschoolers around the world band together to support the Haitian community during their time of crisis. Through World Vision and CurrClick.com, homeschool families can now come together to support Haitian earthquake victims and their families. Small donations of $5 and $10 are being accepted at http://www.currclic k.comCurrClick. com. CurrClick.com will be matching donations. A counter is being kept on the CurrClick.com homepage that will keep track of the donation amount as it grows. "Homeschoolers are generous, giving people and CurrClick is excited about being able to match that generosity with a donation to World Vision. World Vision is a great organization and we look forward to donating a significant amount to their efforts in Haiti," said Staley Krause of CurrClick. Leah Nieman, also from CurrClick asks that homeschoolers help spread the word about this opportunity by posting the following text on Twitter and Facebook: Homechoolers Help Haiti! Join with other homeschoolers & donate now: http://www.currclic k.com/product_ info.php? products_ id=33677& it=1 "Social media is on of the best and fastest ways to spread the word," says Nieman. All donations will go directly toward distributing life-saving relief supplies -- including food, clean water, blankets, and tents -- to children and families devastated by the earthquake and aftershocks in Haiti. Last year I reviewed two products by Math Tutor DVD, a provider of math instruction on DVD. It received a thumbs up in our household and I ended up purchasing additional products from Math Tutor DVD. You can read the full review of the products from last year here. When I was told that I would be receiving the new Young Minds Numbers and Counting DVD for review this year, I wasn't quite sure what to think. The format for the previous products had instructor Jason Gibson standing at a whiteboard working out problems. Obviously, I didn't think this would appeal much to young children learning to count to 10! When Young Minds Numbers and Counting arrived, it was obvious that Mr. Gibson adjusted the presentation for little ones, starting with the box and all the way to the “lessons”. 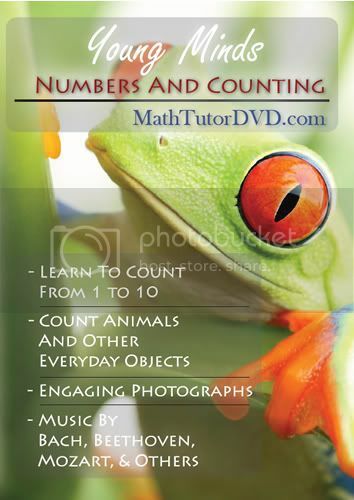 For starters, the close-up of a colorful tree frog will turn more little eyes than the customary warning sign on the other Math Tutor DVDs. As I soon found out, the colorful pictures don't stop at the box. Learning to count from 1 to 10 is the main objective of the DVD. Each lesson, or rather learning session, focuses on counting a certain number of every day objects using gorgeous pictures and video. The child narrator has perfect enunciation. Children will enjoy the vivid pictures from nature and their world, from baby birds to fighter jets. Classical music, by composers such as Bach, Beethoven, Vivaldi and Chopin, softly plays in the background throughout. Bonus features include: Repeat Play, Puzzles, Connect the Dots, Guess the Animal. I don't have little ones anymore and our counting to 10 days are long gone. However, this DVD would definitely be my preference over abnormally large birds and monsters dancing around. An appreciation of the world in which we live while being exposed to musical pieces of art is far superior to frantically counting cookies being greedily consumed by a monster, is it not? The content isn't just math either, and includes both every day object names and likely unfamiliar vocabulary for this age, such as "nebula". Also integrated are sounds and colors of the objects introduced. While some moms may cringe at the thought of putting children young enough to not know how to count in front of a screen to learn, many of us can admit that the lives of our little ones are not completely screenless. Sometimes it is the only sanity saver available in our busy homeschools. Young Minds will make the best use of your occasional use of the rectangular babysitter. Young Minds has a list price of $24.00 and is currently available at the Math Tutor DVD website for $14.99, a savings of 40%. For Facebook users, get an additional $10 off if you become a fan. Math Tutor DVD offers many other products, with levels from preschool college. 10. I really stink at Wii inline skating and can never do a "trick" off the ramp. 9. Even virtual tennis balls are difficult for me to hit. 8. My dogs behave better in the evening if taken for a walk in the afternoon. 7. For a good night's sleep, cut water intake by 8 pm. 6. Never doubt that muscles are being worked out. 5. I can only go three days without chocolate. 4. There is a sequence to unplugging a Wii that eliminates potential for damage. 3. The Wii customer service is fairly pleasant and efficient! 1. If I set my stubborn mind to it, I CAN do it! For my workouts, I've been using the EA Active program for the Wii. The program has a 30 Day Challenge where it keeps track of all your exercises, calories burned, total time, etc. There are three levels you can select; I chose the wimpy low intensity. Monday was my first workout. It was only 15 minutes long, which was fine with me (hey, I'm just doing what it tells me to do...). Tuesday was workout number two, at 20 minutes. While the actual workout didn't seem like much, I have to say I felt it the next day. I felt like an old lady that morning with the way my muscles ached! My low point was on Wednesday. At that point, rather than cry, I just had to laugh at my out-of-shape rear with some silliness. Thankfully, Wednesday was a "rest" day on the 30 Day Challenge. Thursday's workout (around 15 minutes) worked more on upper arm, which gave my legs, that were screaming from lunges earlier in the week, a break. Unfortunately, I didn't get my workout in today. I think I actually broke the Wii! It wouldn't turn on and I unplugged and replugged the connections to reset it. When it was up and running, all the faces were blue. Our Miis looked like the Na'vi from Avitar! I decided not to workout with a virtual trainer that looked like she was seriously oxygen deprived. Me being blue was one thing, but the trainer? I also added in a daily walk, which has dual purpose because my dogs are getting a workout too. On average, I'm clocking about 30 minutes daily walking at a pretty good clip. Lastly, I've cut out all that in-between snacking. I'm a complete grazer and we still have so many snacks around from Christmas. I received two boxes of Godiva for Christmas...two! The first box has already been applied to my middle. The other I'm afraid to open and I left it alone all week. Ok, so I did sneak about a half dozen cashews and about four M & Ms from another stash. Overall, it was a fairly successful week. I clocked almost an hour of aerobic and toning exercise and about 2 1/2 hours of walking. I'm drinking lots of water and cut my calories quite a bit by not snacking. I could have done without the broken Wii! Whenever I run across a new-to-me company, I make it a point to explore its website to learn a bit more about them before ordering products. Discovering how long a company has been in business, what inspired its creation, and the focus usually gives me a pretty good overall feel for the organization. studies, in addition to reprints of classic works. While I was unfamiliar to Kregel before this review, I did see some familiar titles. They have a variety of categories, for kids through adults, from which to choose. You can browse by subject to see all they have to offer. I was sent, Bertie's War by Barbara Tifft Blakey, from Kregel's tween category to review. Bertie's War covers an era of history that I don't see covered in historical fiction often – 1962 and the Cuban Missile Crisis. Throughout the book the reader is pulled into the thoughts of Bertie, a sensitive 12-year-old girl, as she struggles with the world around her. Bertie is both paralyzed and blinded by her fears. The current events intensify her fears and bring her to an utter out-of-control point. Moving beyond her self-absorption, her eyes are opened at the very end of the book. To be honest, I haven't decided if I like this book or not. I can't say I particularly enjoyed it, but I spent quite a bit of time trying to decide exactly why. For me, a contributing factor is that the reader is given limited information through Bertie's eyes. I do not believe this is unintentional, but rather the author wants the reader to experience Bertie's feelings and perspective without realizing their full irrationality. As an adult reader, it is marginally successful. For example, a central theme throughout the book is Bertie's fear of her father. I really didn't like Bertie's father, but in the end I discovered he wasn't as bad as he seemed as did Bertie. However, as an adult reading from the perspective of a 12-year-old, I found I was not relating to Bertie so much and instead being critical of the parenting going on. Did these parents not realize their daughter was an emotional mess? Were they clueless to her irrational thoughts and imaginary worlds? Or did I just not see it through Bertie's eyes? On the other hand, I was quite the irrational and emotional tween and felt empathy for Bertie, though I can't say I liked Bertie all that much. I was torn between feelings of wishing Bertie should stop all her blubbering, criticizing the parents, and having flashbacks to when I was 12. No, I can't say this was an enjoyable read for me. Granted, this book isn't meant for adults. I was curious what my 12-year-old daughter would think, especially given she's a rather sensitive creature herself. Her first comment was, “Nothing happened.” The main action in this book was the steady increase of Bertie's fears; my daughter enjoys books with a bit more adventure. When asked what she thought of Bertie, her response was, “Cowardly,” delivered with a bit of disgust. Without a connection with the main character and high adventure, it wasn't an enjoyable read. I don't think I would have purchased this title for my shelves, but it did give a glimpse into the historical period. It could have used a little more development. I liked the concept of the ending but it was a little too abrupt of a transformation after spending nearly 200 pages reading how deep-rooted Bertie's fears were. There is something to be said, however, for the amount of thought the book has prompted in deciding if I actually liked this title. Also worth noting is that the author, Barbara Tifft Blakey, is the creator of Total Language Plus, a literature-based language arts program. 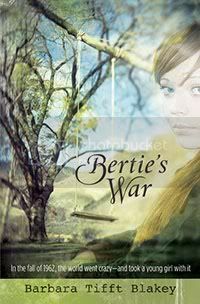 At the TLP website, discussion questions are available for Bertie's War that may open up a dialog that address character and fear, both very useful topics to tackle with tweens and teens. Bertie's War retails for $7.99. Kregel Publications carries many other titles worth considering for your home library. To purchase Bertie's War or to learn about available titles, please visit the Kregel website. WatchKnow - "You watch, you know"
It is no mystery that the internet is full of free educational video resources. But if you are anything like me, keeping these resources organized is a bit more difficult. I'll find a video clip, throw it into my bookmarks under a subject, and promptly forget I have it. Someone recently shared with me a fairly new website, WatchKnow. This website takes free educational videos hosted elsewhere and organizes them on one site for easy accessibility. The website targets information from ages 3-18, with search filters and categories to make it even easier to find just what you are looking for. WatchKnow is definitely one to keep an eye on as it develops as a one-stop resource for free educational online videos. However, a trip to the bathroom at 2:30 a.m. It has been a few days since I posted in this series, mostly out of avoidance. I have history, science, language arts, and misc left. Most of these areas are either a bit incomplete or too complicated, but I figure I can at least share even if it isn't quite to my liking yet. History is a subject that I often don't have a plan to follow. It isn't my favorite subject, at least not approached with structure, and one in which I am the most ignorant. In the past, I mostly used historical fiction, in no particular order, to address this subject. Well, it was sort of in order, mostly because of a failed Sonlight attempt that ended up in a free-for-all with the titles in each core. I love Sonlight, but I had a terrible time keeping up with the schedule. Did I mention I have four complete Sonlight cores that I can't part with because the titles are so awesome? I direct my kids to our Sonlight shelf whenever they are looking for something to read. So, all is not lost...perhaps with the exception of those Instructor Guides! With my oldest in 7th grade, I decided it was time to get a bit more systematic, but not be overwhelmed, in our history studies. My original plans were to use Early American History:Native Americans through the Forty-Niners by The Teaching Company. It started out ok, but then our schedule in the fall became hectic and this was the first thing lopped off. Then, I received All American History, Volume 2 by Bright Ideas Press for review through the TOS Crew. I originally started my younger with this and realized it was a bit much. Instead, I ordered Volume 1, more appropriate for the younger but a little light for the older. Oldest's schedule is still hectic trying to catch up from a busy fall (FLL and major theater production), so light and structured is just about right. I'll have her finish up Volume 1 and move on to Volume 2 next year. Eventually, I'd love to get back to Truthquest that I reviewed last year, but thought a structured textbook might be a good idea for this year. My younger, 5th grade, is a bit more tricky. This is the area where I'm lacking. I recently purchased some Drive-Thru History DVDs, which he enjoyed. I'm not sure how much he learned, but something must be soaking in. I'm still considering having him just read the All American History, Volume 1. The writing in the student pages bogs him down a bit, but I'm hesitant to leave them because the notebooking really adds to the text. If he could keep up with big sis' schedule, I'd have them do them together. The real issue is not the writing for the notebook pages, but writing in general. I am spending a lot of time this year getting him up to speed in the language arts area. Honestly, it is consuming our schedule and there is little time for regular history. I know omitting history studies may break the hearts of some homeschoolers, but I feel the 3Rs must come first. For now, I'm having him pick among Sonlight titles to read, watch a DVD or the History Channel here or there, and will have to be satisfied with that. We may eventually add in All American History Volume 1 again, using it for two years instead of one. He won't be ready for Volume 2 for a few years and a slower schedule will let us focus on other areas for now. It isn't exactly a concrete plan, but more of a plan than I've had in the past. We aren't lacking for history resources on our shelves, they just aren't pulled together as well as I'd like. Next up will be science, a subject with a plan! Fit Mommy - I can hardly believe I'm in! Level One: The Beginner level. This is for those of you who are brand new to exercise or for those who are not already participating in a consistent fitness program. Your goal should include at least 1 mild form of exercise per day (walking, low impact cardio) as well as one nutritional goal; drinking 8 glasses of water per day, keeping a food journal, eating a small salad with dinner, no chocolate for the week (did I say that? ), etc. 1. I've never participated in a meme. In fact, I didn't even know what they were until a month or two ago. 2. I hate exercising. When I originally saw the meme, I thought, "Yeah, right... " and ate a piece of chocolate. 3. My arms hurt the day after fencing for 5 minutes on the Wii with my son. Um, yeah...a little out of shape here. 4. I've gained quite a bit of weight since I stopped working out regularly 3 years ago. I was convinced it wasn't much because my clothes still fit. That is until I attempted to put on a skirt that I hadn't worn in a year or so and it stopped at my thighs. Hmm. I think perhaps my regular clothes were stretching with me. 5. I'm usually not the peer pressure kind of gal, but seeing others jump on the Fit Mommy bandwagon motivated me a bit. That, and Crazy Mom inspired me by posting about her 7-minute workout. I can do that! Oh, and Denise promised me that I wouldn't have to give up my Big Train Chai . I'm going to shoot for a workout three times a week. I know I should do something every day, but baby steps! I recently purchased EA Active for the Wii and plan to use that. For the nutritional goal, I'll up my water intake. Aside from chai, I only drink water. I'm not sure I get enough during the day though, so I will keep an eye on that with a goal of 8 glasses per day. I'm not ready to give up the chocolate yet, so we'll shoot for the exercise and water. Almost every woman I know that is asked about her junior high years gives a little shudder of bad memories. As a shy and sensitive child, memories of my tween and teen years elicit the same response. It's not that good times were non-existent; they just weren't plentiful enough that I'd want to live that time of my life again. Ever. One of the most difficult times I had was when my family moved to a new area mid-8th grade. It wasn't an easy transition and a huge lesson in girl dynamics, one for which I was ill-prepared. My first lesson was my second day at my new school when a complete stranger approached me in the cafeteria and challenged me to a fist fight because she heard I was talking about her. What else could I do but honestly say, "I don't even know who you are! What is your name?". It diffused potential violence, but there was always a tension between us. I had experienced girl dynamics at my old school, but entering a new culture as a foreigner certainly added a new element. I ended up building an emotional survival wall that didn't crumble until well into my adulthood. I switched to cinder blocks that second day. I often wonder what I missed out on during these formative years as a result of my approach. Previous reflection in my adult years led me to believe that my experiences were the result of being sensitive and a social late bloomer. I didn't feel comfortable in my own skin until I was in my 30s. Because of my perspective of self-blame and lack of understanding of girl dynamics, I didn't suspect that my confident, boisterous, march-to-her-own-drum daughter would have the same experiences. However, the closer she approached the tween years, the more I realized that this is very much a girl thing. Cliques, hormones, competitiveness, physical changes, more difficult studies, awareness of boys...no wonder it is a hard time to navigate. I had to vicariously live it again to realize I wasn't the cause of anything other than my reaction. The circumstances, they just were and would have been regardless. And here they are again. While homeschooling has helped my daughter navigate these years better than if she were in school, I can't say that it has meant she has been completely protected from the drama of the middle school years. Frankly, I'm not sure I would want her to be entirely. After all, I think there is a bit of junior high girl in every adult woman. Girl dynamics doesn't stop at middle school. For me, it tumbled through high school cliques, crept up during spats with college roommates, and even showed up at the workplace. It is something one needs to learn to navigate. I've tried to arm my daughter and myself with awareness, both of self and of others. With homeschooling, parents have the benefit of observing and coaching through situations. I encourage my daughter to take the perspective of others as a self-check and use past situations as a possible way to tap into how others may feel. Homeschooling has allowed an increaseed awareness of the social environment for more effective coaching. Why do you think that person behaved in that matter? What emotions do you suppose are fueling that person? What reaction do you suppose they are seeking? What result are you seeking and why? Are your actions an emotional response? Have you told others how you feel? Are you thinking as an individual or a group? Fortunately, this topic has brought more interest in recent years and resources are readily available. I highly recommend the following titles whether you have a daughter approaching the tween years or well into her teens*. This following is just a fun read for your daughter, especially if she's the non-conformist type. The following title doesn't specifically address the tween and teen years, but gives suggestions of titles for kids that may address certain feelings or topics (including aloneness, differentness, and relationships with others). Suggestions are categorized both by topic and age, preschool through high school. You may find it helpful if you have a child that loves to read and easily identifies with characters in their books. Many of these titles have been useful in helping my daughter in her relationships. Rather than watch her esteem continue to plummet, she has gained empowerment by understanding and recognizing that it is a time of development, rather than a reflection of her as a person. If she can recognize what is happening in others, it will also be easier to see when it sneaks out in her actions. I think I would have benefited from such resources during my tween and teen years. Perhaps it was just the generation and lack of information at the time, but I don't recall much coaching other than to ignore “mean girls”. I also think my mother was completely unaware when I tried on the mean girl shoes myself - and we all do on occasion- and in need of correction. What I could have done with a little knowledge - to look at things more objectively rather than either be wounded or retaliate. An unexpected result of the process of parenting these years has been that the junior high girl still lurking inside of me has begun to heal. It is a bit embarrassing that she is still around, considering I am an almost 40-year-old woman. I think she crawled away and assumed the fetal position in a corner of my memories all these years, yet her anger seeped out and sometimes contaminated my adult emotions and tongue. The adult me is seeing that she wasn't completely a victim either. She occasionally dished it out like the best of them. Now that she's out in the open, I can better recognize when she is up to no good. I sometimes struggle to keep her in check, especially when she is being called to interact with the wounded inner girl of another. Whenever she starts talking in my ear, ready to blow something out of proportion, I have to call in the rationality of the 30-something woman of the present and send her back to home room. I guess I would never want her to disappear entirely, as there are valuable remnants from those years of one foot in girlhood and one foot into womanhood. We all need to tap into that youthfulness, creativity, and emotional strength and intensity that allows us to cry right along with one another, whether out of joy or sorrow. These qualities are necessities not only when raising girls of our own, but in our adult friendships. 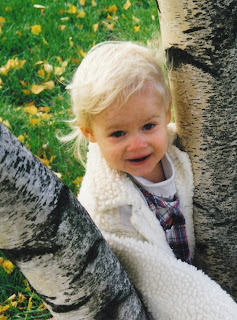 I could do without the rest though, and hope that my daughter will manage these years without lurking bad memories. As for me, it won't be long now before the wounded part of my inner junior high girl is packed away in the times-gone-by of my memories, like a dusty yearbook. *Resources mentioned were for the information contained. Some may have points of view with which you or I may not agree or potentially offensive content. If you had resources to add to the list, please make recommendations in the comments! A year or two ago, my son expressed that he would like to learn to play guitar. While I try to honor such requests when presented, guitar lessons were neither in our schedule nor budget. Music education was being covered through private piano lessons already. I put the request off, with a promise that I would consider it for the future. About six months ago, a grandparent gifted my son with an electric guitar for his birthday. After a few rounds on the electric guitar it was apparent that not only did interest remain, but that lessons were certainly in order if our ears were ever to be safe again. Since the original request, piano lessons had been stopped temporarily for budget reasons. I had already been tossing around the idea of starting guitar instead when the budget allowed again. Needless to say, when Worship Guitar Class on DVD arrived for review, I had a very willing test subject. Worship Guitar is the creation of Jean Welles, who has a master's degree in Guitar Performance from USC. There are four volumes of the course available, as well as a version for younger kids. I received Volume One, intended for ages 10 and up. A small booklet with the songs is included with the DVDS. A larger 16-page student book, also provided for review, covers the material from the lessons and the musical notations for the songs used. The DVD starts with an explanation of the parts of the guitar and how to tune your instrument. After this introduction, students are ready to start the first of the seven lessons included on the DVD. Lesson one teaches two chords, A and E7. At the end of the lesson, Jean Welles leads in playing He's Got the Whole World in His Hands. A dozen chords, seven worship songs, and a half dozen strums and picking patterns are taught over the course of the seven lesson. Each lesson lasts for about 3-5 minutes. There is also a practice section that covers the songs more slowly than during the lessons. The DVD includes the option of Spanish subtitles with each lesson. The video below will give you an overview of the complete 4-volume program. The first lesson for Volume One is also available for viewing. Welles appears to be a very patient teacher. Her voice is calming and her focus is praise and worship through playing music. She has a professional presentation and a lovely voice. I liked that the lessons were short, which was beneficial to my son. Only having two chords to practice after the first lesson was manageable and allowed for obtainable progress. I could tell immediately that it was going to take some time to get the finger muscles trained before playing cords would not be awkward. The added benefit of learning at home is not having to be on a teacher's time schedule. Some lessons are going to require more practice than others. One of the difficulties we ran into with private piano lessons was getting suitable practice in when schedules became hectic, resulting in children not being prepared for the next lesson. The simplicity and clear instruction of Worship Guitar Class makes learning together at home possible. I wanted to have my son learn on an acoustic guitar, rather than his electric, so we borrowed a guitar from a friend. Unfortunately, my son only completed one lesson before that guitar needed to be returned. We borrowed a second guitar, but I had difficulty tuning it. I'm unsure if it was the instrument or user error, but it was an added complication to inexperienced playing. In the end, it was decided that the electric guitar we already owned was easier for practicing the chords and sounded better for now. While a top-of-the-line guitar isn't necessary for a beginner, I might be beneficial to borrow or rent a quality instrument if possible, especially it you think your child will have a lasting interest. It will make the initial learning experience more enjoyable. Lesson and guitar packages are available at the Worship Guitar website if you are ready to make the initial investment. Welles also makes recommendations of starter guitars. Another consideration is hand dominance. Guitar instruction is further indication that it is a right-hand world out there. As a lefty who wanted to learn along with my son, I had the additional obstacle of feeling like I was doing everything backwards. After a little practice, it felt a bit more natural. While this won't be an issue for most, I thought it might be worth mentioning if you have a lefty in the house. I didn't even consider it until I picked up my son's guitar and realized it was upside-down! Left-handed guitars are available, but many lefties simply learn to play right-handed. This is a Christian course and the focus of this course is on praising and worshiping God while learning guitar. While that is rather evident in the name of the course and suits my family just fine, it may not be the best choice for completely secular users. Overall, I think the DVDs are an excellent and affordable way to get started playing guitar. The cost of each DVD and student book package isn't much more than one 30-minute private lesson in our area. Lessons are simple and can be played over and over again, allowing students to progress at their own pace and timetable. Furthermore, I like that there is no traveling involved and we can easily learn together. A total of 28 songs, 60 chords and 30 strumming and finger picking patterns are taught over the course of the four volumes, for a great head start in playing guitar. If you or your child are interest in learning guitar, this DVD series may be a great way to gauge lasting interest and learn the basics before investing in expensive private lessons. No extra licensing is needed to use these DVDs in a group setting and Welles encourages them to be used in this manner. It is obvious that she enjoys teaching and uses her talents as a ministry. Single volumes of Worship Guitar Class are $29.95 and come with a 1-year money-back guarantee. This price includes the student book, which is also available separately for $5.95. There are various discount packages available, including those with guitars. The Worship Guitar Class on DVD can be purchased from the Worship Guitar website or at select retail and music stores.